Premium quality plastic is used for the manufacture of Pharma Bottle Neck Caps. These caps are decently priced. 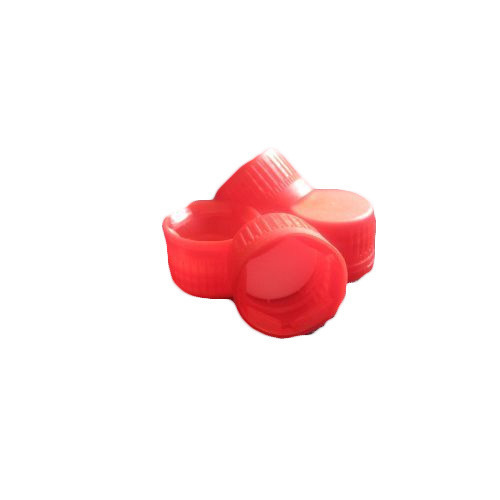 We are offering 25mm pharma bottle closure for pet bottles.These Pharma Bottle Neck Caps are available with EPE (Expanded polyethylene) wad, therefore it ensures that it should remain 100% temper profaneness of liquid fill inside the bottle. These are available in various colors as per customer specific requirement. Established in 1996, Maharashtra, we, Creative International, are a highly acclaimed Manufacturer, Exporter and Trader of premium quality Spouts Caps, Sports Bottle Cap, Pet Bottles, Plastic Bung, Plastic Nozzle, Pet Bottle Closure, Pilfer Proof Cap, Plastic Neck Cap, Bubble Top Cap, Plastic Bottle Handles and many more. The products offered by us are manufactured at our spacious infrastructure facility by making use of high quality raw materials and components. Our products are highly acclaimed for being highly sturdy, durable and tamper proof. These are available to clients in a wide range of eye catching designs, colors, sizes and shapes at budget friendly prices. We make these available to clients within the specified period of time as per their specified requirements. The strict inspection of the quality of our products on a routine basis ensures that clients get nothing but the best from us at economical prices. Our products have been acclaimed for their unbeatable quality. By ensuring the timely delivery of products, our professionals have helped us garner a loyal client base.